I had last weekend off before the Street Rod Nationals in Louisville so I headed out to New Mexico to see the sights in Albuquerque, Santa Fe and Taos. In between trips to pueblos and museums I took some photos of cool cars and sites along the way. I love traveling the back roads of the USA and happening upon cool roadside attractions. 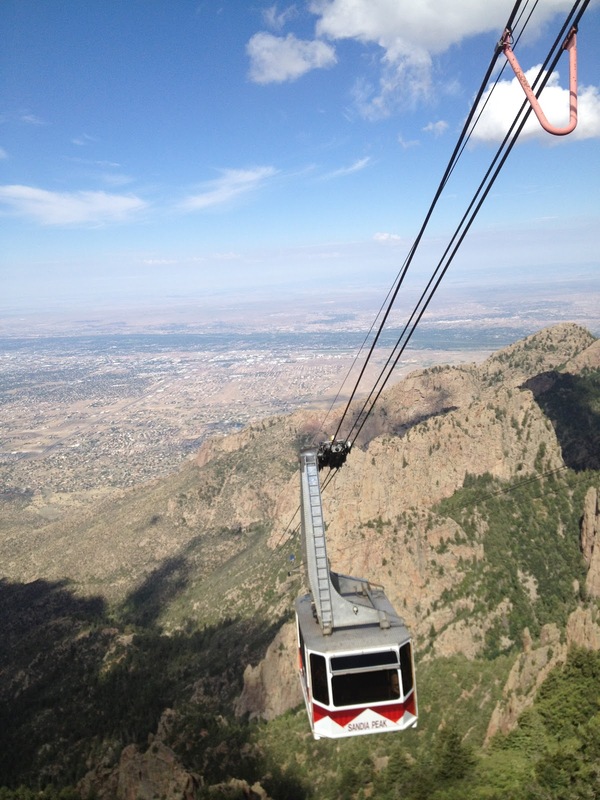 This is a view from up on Sandia Peak on the northern side of Albuquerque. The elevation at the top is 10,378 feet. 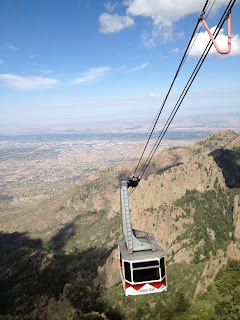 The 15 minute tram ride to the top has some amazing views of the area and you get the chance to see some wildlife. We even spotted a black bear during our ride to the top. Check out the photo below of the tram maintenance worker. His job is to maintain the cable and gears on the top of each tower. From there is was off to Tent Rocks National Monument. It required a 3 mile round trip hike, but provided some amazing views of New Mexico. Are you a fan of Diners, Drive-Ins and Dives? I am and was glad to see that a few restaurants featured on that show were in New Mexico. I stopped in the Bobcat Bite in Santa Fe for their famous green chile cheeseburger. It was outstanding and well worth the drive and wait. Leaving Abiquiu, I spotting this cool gas station and general store. Evidently, Bode's has been a general store since 1893. After picking up some refreshments it was off to Taos. 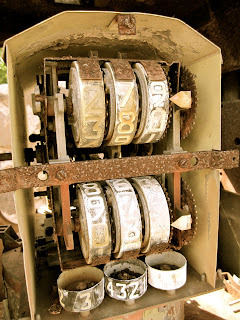 Cutting through the Carson National Forest I came across some cool roadside relics. Along the highway there were plenty of old beat up classic cars and I tried to take photos of the ones that I saw in time to stop. It was supposed to be a quiet weekend for my girlfriend and I so I was trying not to stop every five minutes to look at rusty classic cars. From Carson it was off to Taos. Getting to Taos on the US 84 means you have to cross the Rio Grande Gorge Bridge. 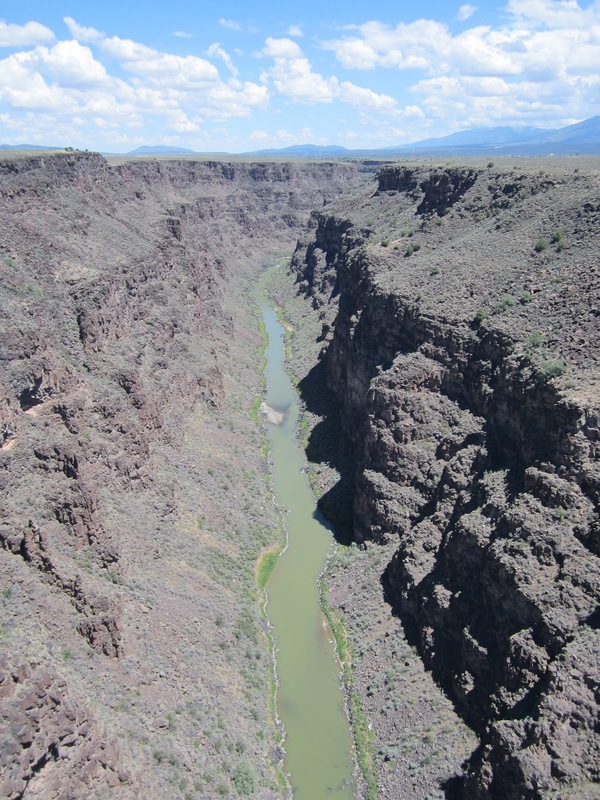 The bridge is over 1,200 feet across and is 600 feet up above the Rio Grande River. 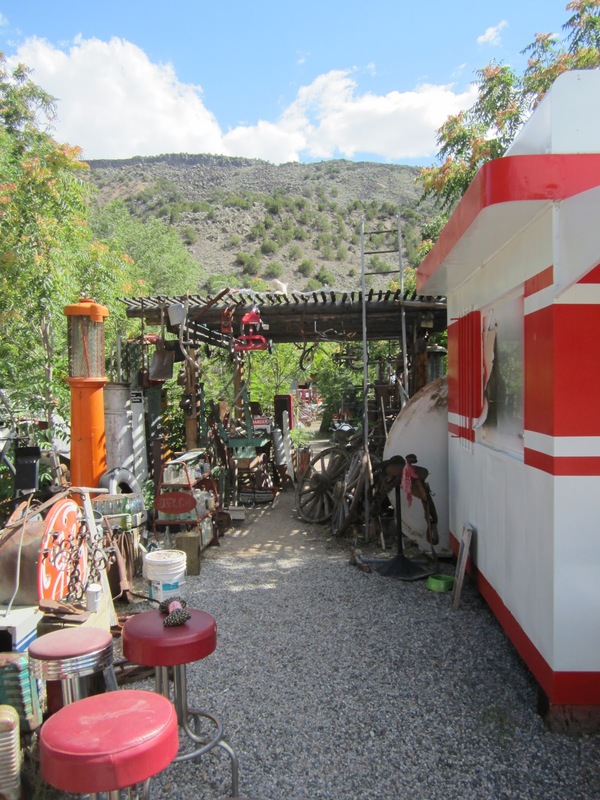 Heading back to Santa Fe from Taos, I came across my favorite stop during the trip, the Classic Gas Museum in Embudo, NM. 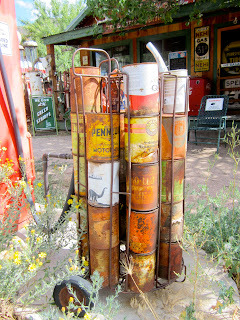 Cruising down highway 68 towards Santa Fe I spotting a group of old gas pumps and had to turn around to check the place out. This place had all sorts of nostalgia and Americana. It is definitely worth a visit if you find yourself in New Mexico. Next time I am in New Mexico I will definitely be returning here when I have a few hours to stroll around and check out the nostalgia. Check back next week for photo and video highlights from the Street Rod Nationals in Louisville, Ky. I will be working with the California Car Cover crew at our booth all weekend. Hope to see you out there.